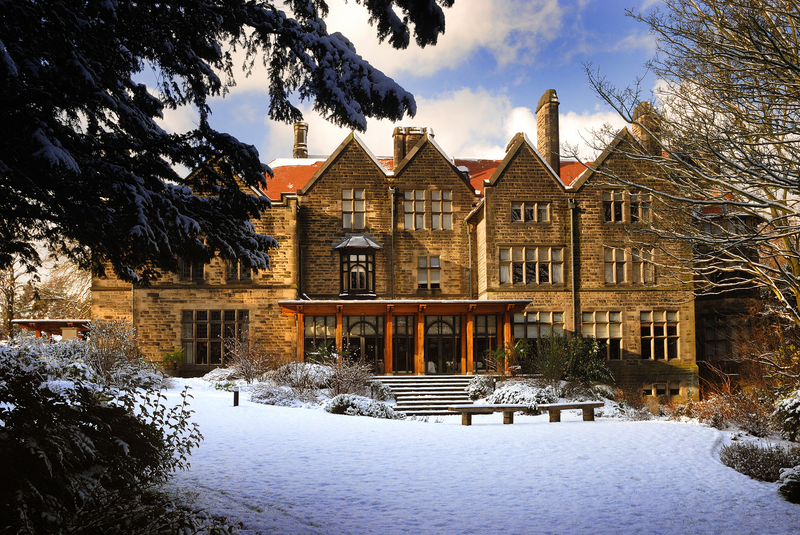 Thank you Jesmond Dene House for inviting Scobberlotch to try your festive afternoon tea. 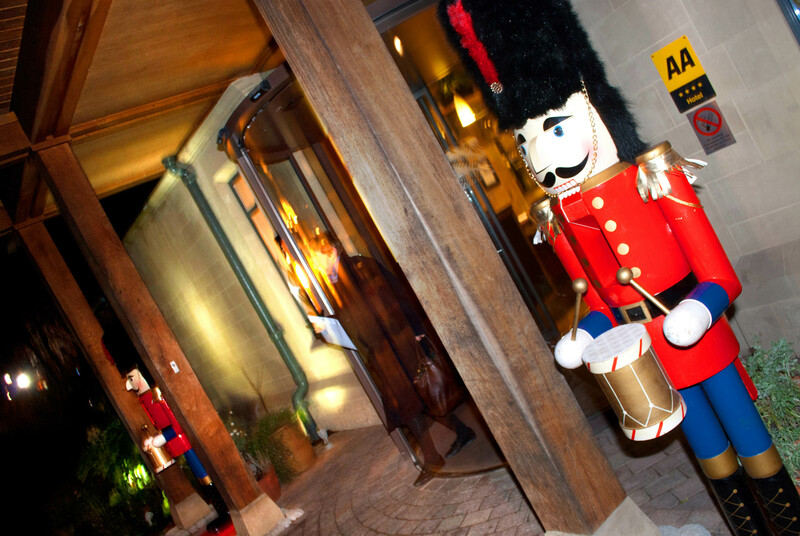 We’re big fans of yours already, and it was a lovely way of getting into the Christmas spirit! A friend recommended the afternoon tea at Jesmond Dene House as the best she’d ever had, so when Rosie asked us to review their special festive afternoon tea event, we jumped at the chance. Jesmond Dene House is one of Newcastle’s architectural gems, a beautiful majestic building that’s full of character, tucked away in a woodland backdrop. We wandered down on a drizzly December afternoon, and as we left the hustle and bustle of the town centre behind us, we followed the sound of the saxophone playing Christmas tunes outside the Grand Hall. The afternoon tea was being served in several different dining rooms, all dressed spectacularly in Christmas lights and garlands. We were seated in a garden room that was cosy and inviting and incorporated the original grand architecture of the building but also had large windows with a view of the grounds. 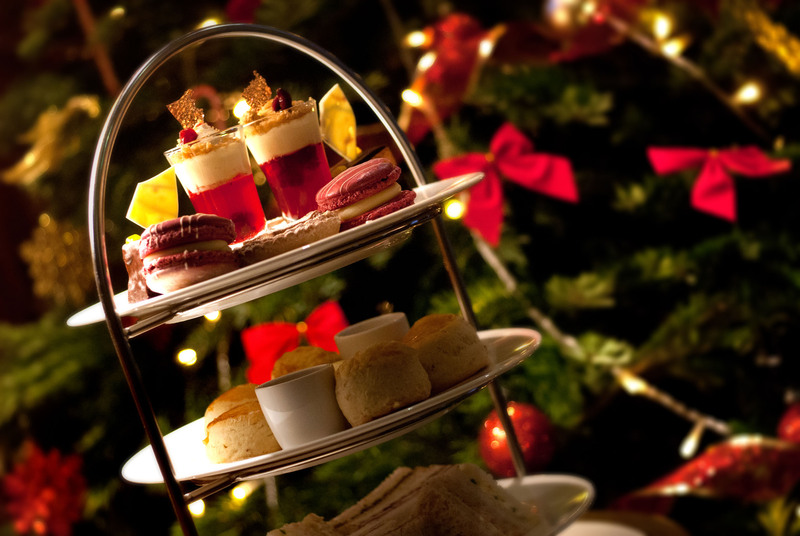 There are two options on the festive afternoon tea menu: traditional afternoon tea which offers a range of delicious teas to choose from including classic choices such as English Breakfast and Earl Grey and more exotic teas such as the Himaylan Darjeeling and Ceylan Orange Pekoe, and Champagne afternoon tea for a little something special. The staff were attentive, enthusiastic and extremely knowledgeable and we really felt that they took pride in their work and gave the whole experience a luxurious feel that was a real treat! We were particularly taken with the Head Sommelier, Danny, who offered us each a glass of their House champagne, the Pol Roger Riche, which is not only his personal favourite, but also the favourite of Winston Churchill and the Queen. Danny kindly and expertly explained how the champagne was created and clearly had a vast knowledge of wines, tea and other drinks and we thoroughly enjoyed his hand-picked drinks menu. The champagne was the smoothest and creamiest that we’d ever tasted and will now set the standard for all other champagnes in our eyes! I would have been happy to simply sit and drink in the delicious champagne, variety of teas and relaxing atmosphere, however the main part of the event was of course the food. We’ve sampled a range of local afternoon teas and we both agreed that this was the best as each element was light, beautifully flavoured and left us satisfied without feeling heavy. The bottom tier consisted of a range of finger sandwiches in soft, fresh breads. The middle tier treated us to not just one, but three types of scone: spiced fruit, plain and cheese scones, which were delicate and fluffy and served with jam and clotted cream. The stand was topped with cranberry macaroons, minced pies, mint and chocolate truffles and, our particular favourite, mini mulled pear and cinnamon cheesecake sundaes. Whist slightly more expensive than some other afternoon teas that are available in Newcastle, we really felt that the quality of the food and drinks, and the spectacular setting made Jesmond Dene House Afternoon Tea worth every penny. We hope to come back for a special treat again very soon and will be requesting Danny’s champagne recommendations again when we do. If you’re thinking about treating yourself (and friends or loved ones!) 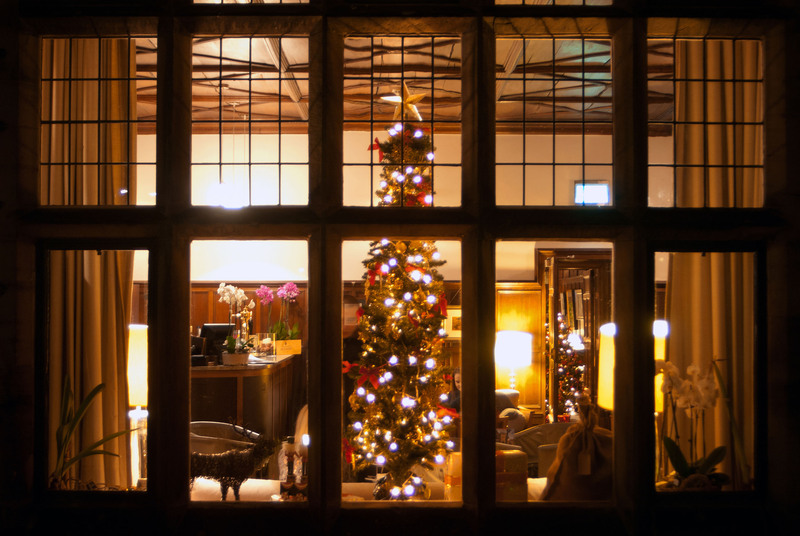 this Christmas to this special festive experience (and we highly recommend that you do!) there is still one more date available this Christmas Eve. If you can’t make it for then, we’d still suggest you take afternoon tea at Jesmond Dene House at the first possible opportunity. To book, just give them a call on 0191 212 3000. Jesmond Dene House can be found just outside of Newcastle city centre on Jesmond Dene Road.